On Saturday 17th October we will be holding our Autumn Fayre. 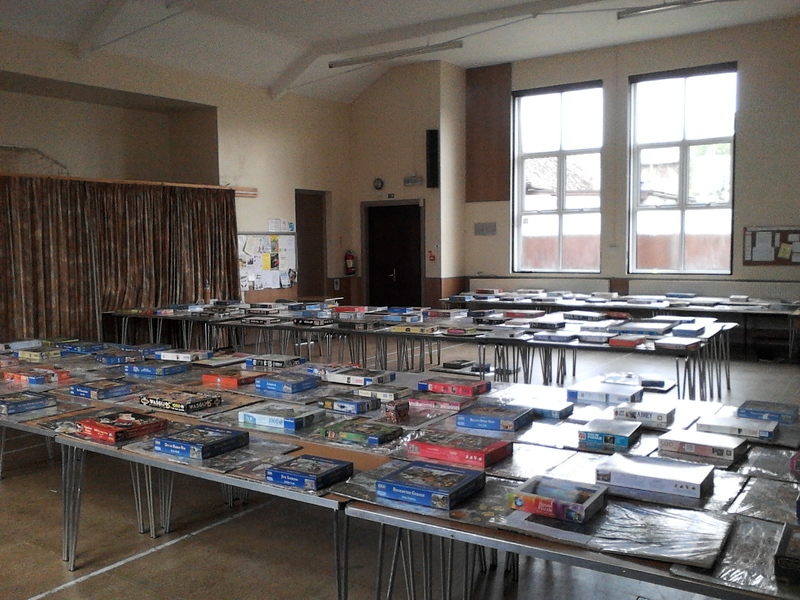 The Fayre will open at 10 a.m. and continue to 1. p.m. There will be an opportunity to buy Cakes, Plants, Books and Vegetables. We will also be holding a Gift stall. There will be displays and sales by local Craftworkers of items as diverse as Woodwork and Homemade Cards. Why not take the opportunity to start buying your Christmas Presents early this year. There will be Games to play, and a Raffle to take part in. 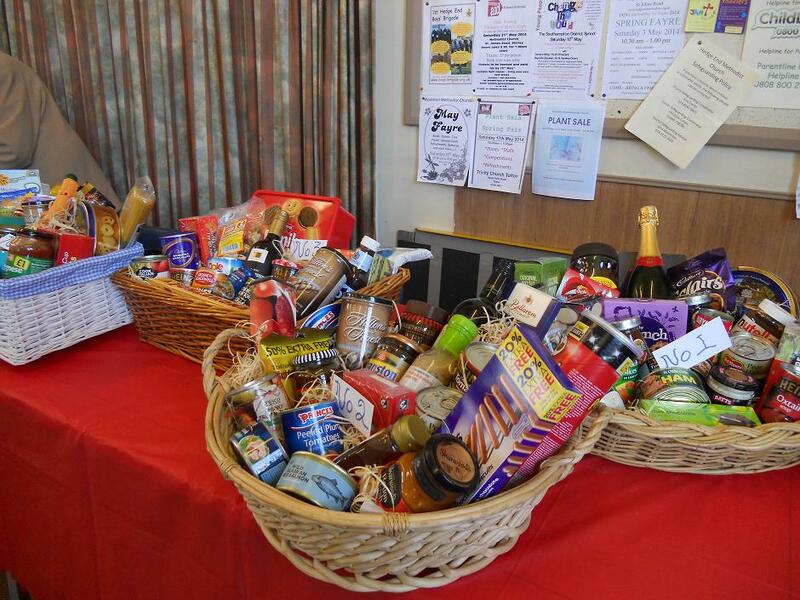 Raffle prizes normally include Food Hampers. Refreshments will be available and will include Hotdogs and Bacon Baps and Tea and Coffee. There will be an admission charge of 50p. The Picture above is of our Spring Fayre last year. The Autumn Fayre is on a Similar Format, but it may be slightly colder. We have been preparing for the carnival for several weeks now. We checked on insurance matters and filled in application forms, to ensure our gathering is legal. There should be 20-25 people representing Hedge End Methodists in the carnival procession which starts right outside the church building at 2:15pm on Saturday 4th July 2015. Lets hope for no rain. We have been making walking banners to the theme of “All things bright and beautiful”, and “Jammy Church”. We should be able to do well with that theme. We have been making static banners and getting tea, coffee, cups and portable boilers, so we can offer refreshments, chat and make friends in the church car park, next to the start of the procession. We hope to make the friendship and enthusiasm of Hedge End Methodists and Jammy Church, apparent to our local neighbours and have a good time. We would love you to come too! On Sunday 31st of May we hosted the Civic Service for The Worshipful the Mayor of the Borough of Eastleigh Councillor Mrs Jane Welsh. Mrs Jane Welsh is a well known face around Hedge End as she has lived here for the last 57 years. She has served on Hedge End Town Council for 32 years and has been a member of Eastleigh Borough Council since 1991. She is also involved with the Village Hall Committee and the Carnival Committee. Our Minister Rev. Arthur Cowburn has been appointed the Mayors Chaplain for her year of Office. We were pleased to welcome many members of Eastleigh Borough Council and their families and friends to the Church for this occasion. The guests included Nick Tustion, the chief executive of Eastleigh Borough Council. There was a rumour that some people had come from the Orkneys to celebrate with us. The Service content was about Trinity Sunday as well as the civic occasion. One of the bible readings was “Isaiah 6: 1-8″, where Isaiah was called by the Lord; this led to us thinking about people being called to their tasks, whether as Church Members or Mayors. One of the Hymns we sang was ” The Lord’s my Shepherd” which reflected the Mayor’s scottish heritage. Our Thanks to everyone who had put in the work behind the scenes to make this occasion possible. 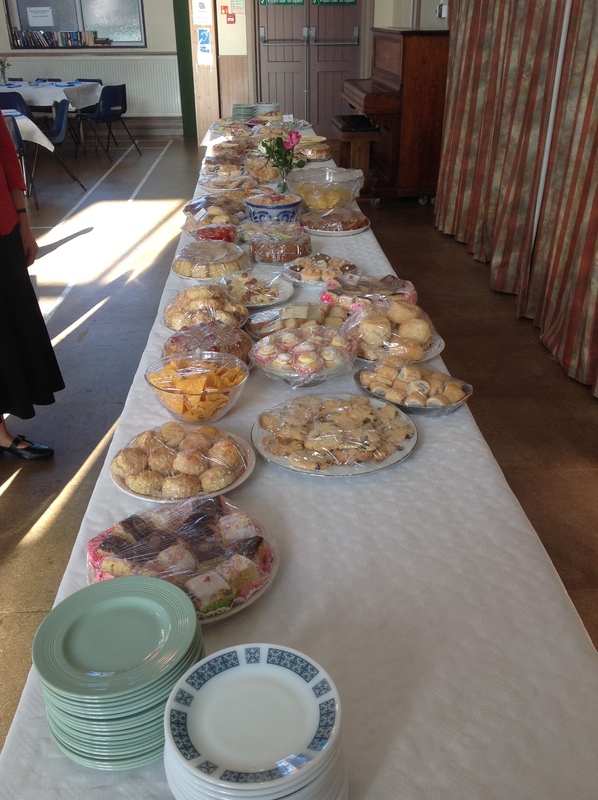 On Saturday 4th October We Celebrated 90 years in the Present Church Building. 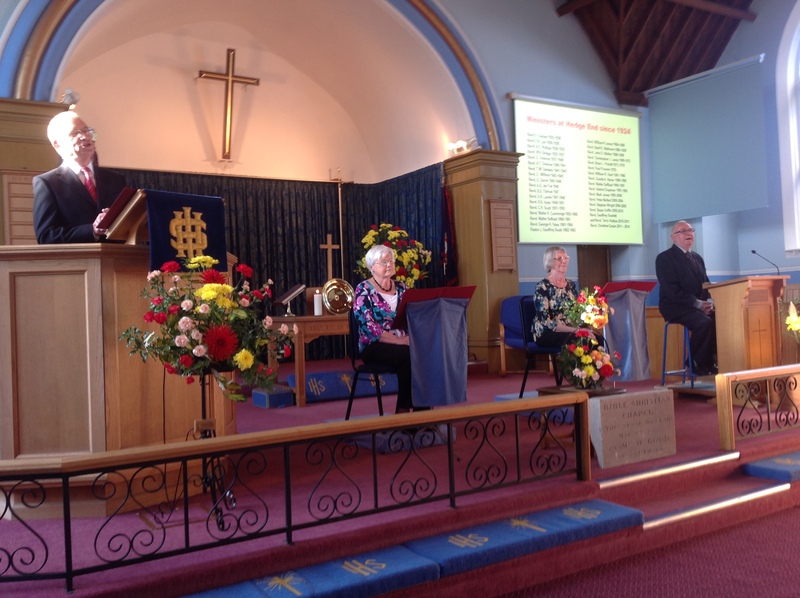 We started at 4.30 with a presentation entitled “A potted History of 157 years of Methodism in Hedge End. This Presentation was given by 4 Readers and was accompanied by slides. The story was told of a group of people who first met to worship in a cottage in 1857. It was then decided to build a Chapel, in due course this Chapel became too small to accomodate all the Worshipers and the decision was made to build the present building which opened in 1924. We explored many aspects of the History of the Church including the role played by the Church during the second world War. The writer of this blog hopes to add a history page to this website in due course giving more details of the History of Hedge End Methodist Church. 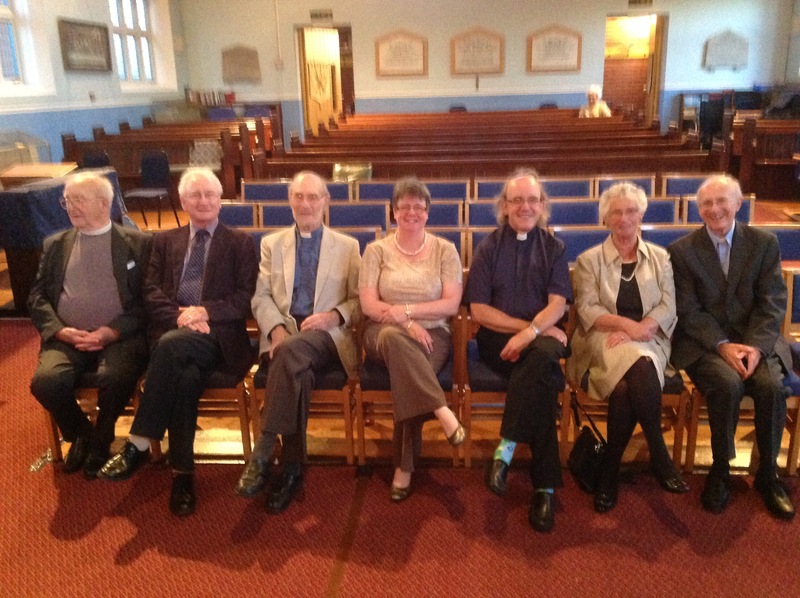 We were pleased to have as our guests on this occasion 7 of our former Ministers, 6 of whom are pictured above with our current Minister the Rev. Arthur Cowburn. One of the Ministers who attended was our Minister in 1961. We received messages giving good wishes from another 3 of our former Ministers who were unable to be with us on this occasion. We were delighted that a regular member of our congragation was able to attend this celebration, who as a little girl came to the opening of the building in 1924. In true Methodist Tradition we then went in to the Hall at the back of the Church where tea had been laid out for us all. We were able to enjoy Sandwiches. biscuits many different sorts of cakes and Tea or Coffee. Thanks were given to God for providing us with food, and to all the people who had helped to make this happy occasion possible. On Saturday 20th September Hedge End Methodist Church will be the hosts for the Churches Together in Hedge End Christian Aid Lunch. This will take place at 12 noon in the Hall at the Back of the Church. For a small charge a simple Lunch is served to anyone who wishes to turn up on the day, there is no need to book. It is believed that the Lunches consist of items such as Soup and a Roll, or Bread and Cheese. We take turns to host this event with the other Churches in the Hedge End Area, which include the URC and St Johns Church. Proceeds from the Event are given to Christian Aid. Ministers in the Methodist Church normally Move every three to seven years. This happens on the 1st of September which is the start of the Methodist Church Year. The Morning Service on Sunday 31st August was therefore the last service which the Rev. Christine Coram took as our Minister. At the end of the Service the Senior Church Steward presented Christine with a Watercolour picture of the Church, which had been painted by a previous member of the congregation. This picture was signed on the back by many of us. She was also given some book tokens and a Card. Rev. Christine Coram, has been with us since 2011. We will continue to see her regularly as she is moving to Shirley to take over as Minister at St James Road Church. On Friday 5th September we will be hosting a “Circuit Welcome Service” for Rev. Arthur Cowburn who is taking over as our Minister. He will also be responsible for Woolston Methodist Church. The Service will start at 7. p.m. and will be followed by refreshments. The Preacher for the occasion will be Rev. Dr. Andrew Wood: the District Chair of the Southampton District of the Methodist Church. We are all looking forward to working with Rev. Arthur Cowburn in the Future and getting to know him better. Many of us have been fortunate to have met him already, as he has been living in the Southampton area for just over a year now. Rev. Arthur Cowburn wrote an article about himself which has been reproduced in the blog entry for 17th June.